The new Azimut S10 features exterior styling by Alberto Mancini with interiors by Francesco Guida. The two designers collaborated on the project to meet Azimut’s brief of creating something new and unexpected for a sub-30 metre yacht. 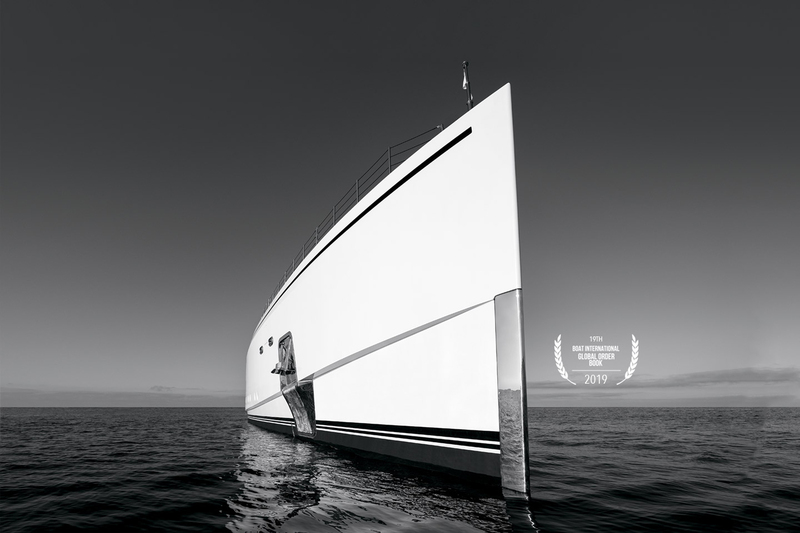 Mancini was inspired by disparate sources to create this yacht – the cascading decks of Malibu beach houses, the centreline cockpits of sailing superyachts and the sleek design of modern sportscars. 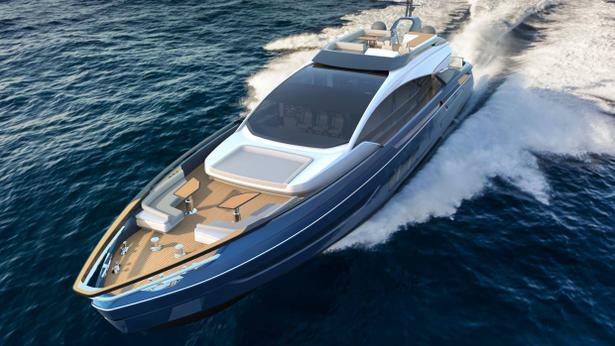 His proposal retained the Azimut S yachts DNA while bringing in an innovative layout. “The architectural approach was to allow owners to experience boating from a new point of view,” Mancini says. Quite literally, the yacht puts the owners and guests in viewpoints that are unusual for the typical sports boat. The deck is divided into two cockpits – there is a recessed cockpit at the centreline with an L-shape sofa, a space which is inspired by classic sailing yachts. An open deck/cockpit area is set aft of this. Wings on the side of the cockpit can serve as a shade structure or they can fold down to be flush with the side decks. The flybridge is accessed by a stairway, set exactly in the middle of the yacht – quite a departure from the usual tucked-in-the-corner stairway location. “The idea was to mimic a Malibu villa with different decks going down to a sea,” says Mancini. Stepping down to the sea, a beach platform is integrated into the stern – the garage hatch is flush, and it will rotate down to create an expansive beach platform, or this additional deck to the sea, as Mancini has imagined it. Pulling on inspiration from automotive design, the exterior detailing plays with shadows as well as concave and convex surfaces. LED lighting was designed to give emphasis to the exterior lines, and to enhance the stairway up to the flybridge. Mancini also convinced Azimut to avoid using stainless steel handrails, which were traded for carbon fibre. Further adding to this open-air style of living is the saloon which has windows that can open, creating an interior that feels fully open and connected to the water beyond. “We wanted to let the entire space be open,” says Guida. But Guida also speaks to the brief to make the yacht’s interior feel elegant and meet “megayacht standards” for comfort and luxury. The interior plays with light and colour, mixing wood and stainless steel. There are a few interior options for owners to choose from: a more classic interior with beige, light oak and neutral tones; and another sporty and modern with grey oak and dark stainless finishes.